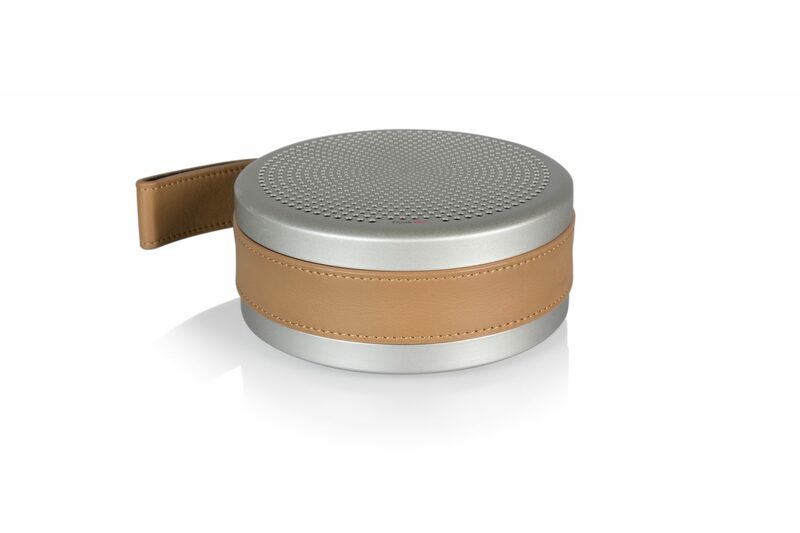 Wrapped in a premium Italian leather strap and carry handle, the beautifully compact Andiamo uses easy, high-speed Bluetooth 3.0 pairing to transform audio files and streams from any smartphone into fabulous full-range music. A re-chargeable lithium battery designed to exploit Bluetooth 3.0’s enhanced power control provides up to 20 hours of play time. There’s also a 3.5mm mini-jack for analogue sources. To complete the minimalist styling, and for enhanced tactility, push-controls over power, volume and Bluetooth pairing are embossed on the leather strap and activate sensors beneath.